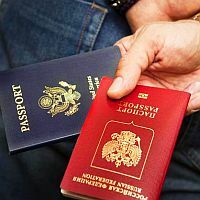 If there is one thing more difficult than understanding the complexities of modern computers and smart phones, it is the procuring of passport and visa. The elaborate and detailed process is understandably difficult for common people. And that is why we bring professionals to help. Allow the experts of Speed Travel Network to offer the most efficient and cost effective Passport & Visa Services from Kalyani, West Bengal. Our professionals source forms, help out in filling them accurately, do the necessary follow ups and assist in verifications checks. All this ensures guaranteed possession of passports and visas. Get in touch with us to know more.